Wondering how to get to the gallery? 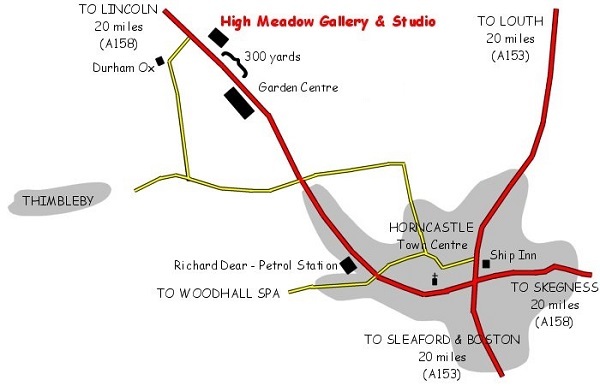 Located on the main A158 between Lincoln and Skegness, just outside Horncastle - 300 yards towards Lincoln from the garden centre - High Meadow Studio is very simple to find. Don't forget, the gallery and studio are open by appointment any day except Monday.